Pod Lupom ...because we care! The Coalition "Pod lupom", which today observes early elections for mayors/city mayors in nine municipalities/towns in BiH, informs the public about implementation of the Election Day until 9:00 p.m. The Coalition "Pod lupom", which today observes early elections for mayors/city mayors in nine municipalities/towns in BiH, informs the public about implementation of the Election Day until 3:00 p.m. 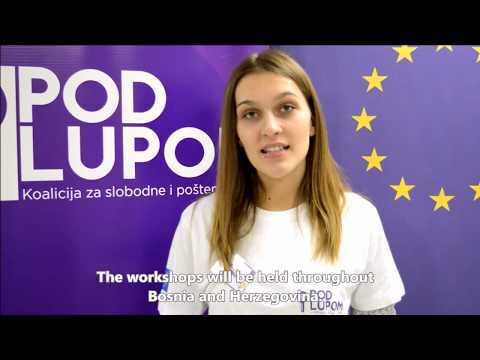 The Coalition for free and fair elections “Pod lupom” will observe early elections for mayors/city mayors in all nine municipalities/towns in BiH on 17 February 2019.